Hello! 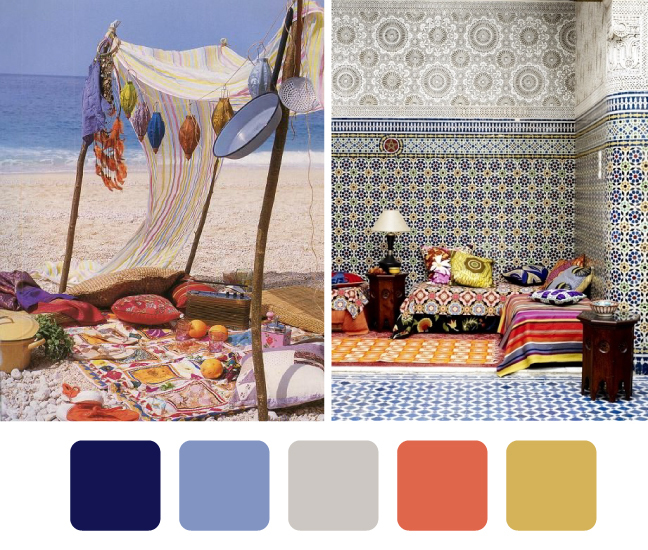 It's Jeanne here, visiting from Cozy•Stylish•Chic to share some of my favorite summer color palettes. Everyone who knows me knows how much I love color, sunshine, and summer, so this one's always a no brainer for me! 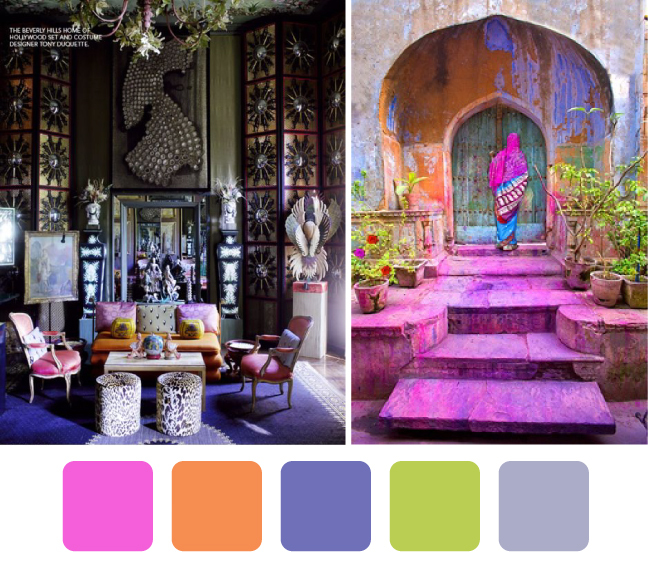 Whether for home with pretty painted walls and color accent pillows or to wear in a soft sheer cotton voile, delicately embroidered, these colors are sure to induce relaxation and make you feel refreshed - exactly how you should feel in summer. I can't decide which one's my favorite - they're all pretty delicious if you ask me! Which one is yours? Oh to be in one of those places right now would be divine! 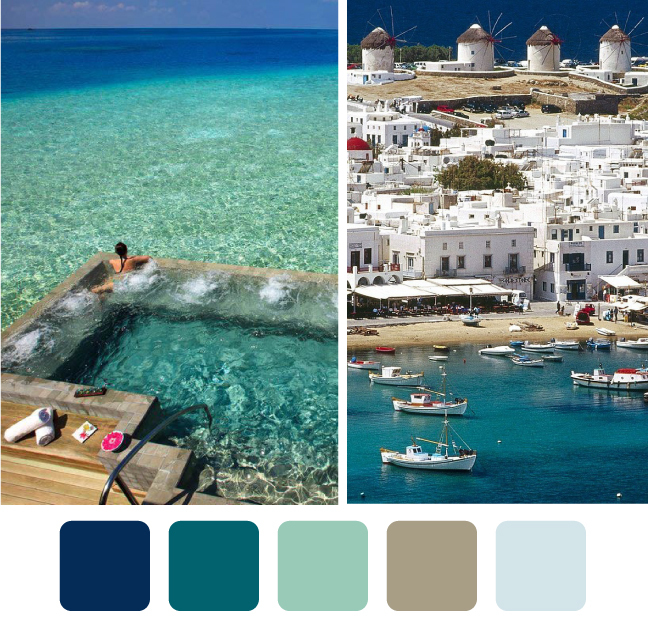 My favourite palette would have to be the third one, it's just so vibrant I love it...that being said though I would love to be in that pool/sea in the fourth photo, looks like absolute bliss!